Enterprise payments software helps large and multinational companies streamline and optimize payments processing. Through the use of this type of software, companies can increase the efficiency of their payments activities by reducing errors, preventing fraud, and automating the processing of large numbers of transactions. Enterprise payments software is used by accounting departments to match invoices with payments, for bank reconciliation, and for payment tracking. Accountants also use this type of software to consolidate payment information from multiple sources and analyze payment performance at the enterprise level. The software also can be used by managers from departments such as procurement and sales to track which customers paid invoices and which suppliers were paid by the company. This type of software should integrate with any other products that are used for financial purposes, such as ERP systems and accounting software. Enterprise Payment reviews by real, verified users. Find unbiased ratings on user satisfaction, features, and price based on the most reviews available anywhere. Tipalti is the only end-to-end solution to automate the entire global payables operation in a unified cloud platform. We take the pain out of payables by cutting 80% of the workload, freeing up your team to focus on growth initiatives. We also provide the systems infrastructure to scale, with robust tax and regulatory compliance built in and financial controls to govern your AP operations. We do all of this while maintaining 98% customer satisfaction and work with leading companies like Google, Amazon Twitch, Houzz, Twitter, GoPro, and GoDaddy. We ensure success with dedicated service and support, and with more than 3 million suppliers around the world, we’re ready to drive your success. Tipalti provides accounts payable teams a complete global B2B payables automation solution that makes it painless to process invoices, match purchase orders to receipts and invoices, and pay suppliers and partners around the world. Wipe out 80% of your AP and supplier payment workload. Tipalti cuts the manual work from your accounts payable processes, so you can focus on revenue growth and cash flow management instead of back-office financial operations. Tipalti provides the infrastructure that sets you up for long-term sustainability, so you’ll never have to implement another AP system. Help reduce tax, regulatory, and financial control risk. Built-in audit logs, OFAC and other sanctions screening before every payment is processed, signatory rights, role-based views and privileges, robust workflow approvals, and W-9/W-8 digitized tax form collection and validation help mitigate risk and fraud. Generate revenue for AP. Early payment referral fees give AP revenue sharing opportunities and allow companies to manage cash flow better without impacting working capital. Improve supplier relationships. Offer a broad range of global payment methods and currencies, improve payment accuracy and timeliness, give early payment discounts, and provide proactive supplier visibility to payment status and history to enhance the supplier payment experience. Tipalti’s enterprise-grade cloud platform meets the highest level of security standards with extended user roles, approval workflow, and data protection. Tipalti’s systems are PCI and SSAE16 SOC audit certified. AES encryption and white-listing ensure payer and supplier information is maintained to the highest industry security levels. 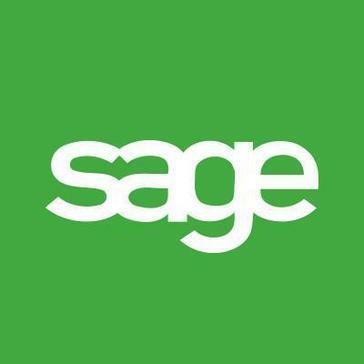 With Sage you get everything to process payments under one roof: underwriting, customer support and loss prevention. Bill.com, the leading digital business payments company, helps automate your accounts payable (AP) process and saves you up to 75% of the time typically spent. It’s the most widely used and one of the most integrated digital business payments platform, and it syncs with your accounting software to improve team productivity and reduce errors. 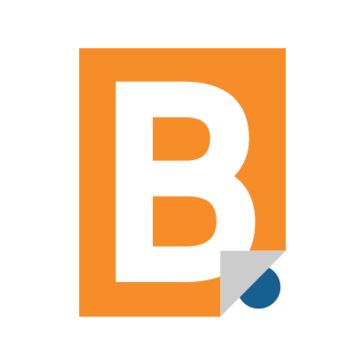 With Bill.com, you can turn your finance department into an efficient, paperless environment with automated approval workflows, digital document capture and management, and built-in team collaboration. Key Benefits: Increase efficiency and save time Save up to 75% more time by eliminating the manual work associated with accounts payable, like processing paper invoices and checks, getting approvals, and recording payments in your accounting system. Simplify international payments Pay your international vendors the same way you pay a domestic vendor -- quickly and easily. Avoid hidden conversion fees and payment delays by paying vendors in their local currency. Gain more control and visibility Delegate more tasks to the right people on your team, and set up robust business rules to simplify your approvals process. See a digital audit trail for every invoice and complete payment history for all your vendors. Keep everything in sync Bill.com syncs with QuickBooks™ (Pro, Premier, Online), Xero™, NetSuite ® and Sage Intacct ®, so your team just enters a payment once and they’re done—it’s fast and accurate. Plus, invoices are matched with remittance information to speed up reconciliation. Get up and running quickly Implement in just hours, and send your first payment in minutes. Getting started with Bill.com is easy, without giving up the robustness and flexibility you need to manage your accounts payable process. Trust in a secure solution Feel safe knowing your data and payments are protected by rigorous security and compliance measures, all optimized to the highest industry standards. We’re a trusted partner of four of the top 10 largest U.S. banks, and over 60 of the top 100 accounting firms. Award-winning MineralTree offers the only end-to-end AP automation solution that automates invoice and payment processing. Plus, MineralTree’s AP Automation solution includes two-way integration (automatic sync) with NetSuite, Sage Intacct, QuickBooks, Microsoft Dynamics GP, Microsoft Dynamics 365 Business Central, Xero and Sage 50, Sage 100. And, check and electronic payments are processed directly from the business’s bank. Global Payments Inc. (NYSE: GPN) is a leading worldwide provider of payment technology and software solutions delivering innovative services to our customers globally. Yapstone provides online payment solutions for marketplaces and software companies around the world. Yapstone has been recognized on the Inc. 5000 list of Fastest-Growing Private Companies for ten consecutive years with customers that include HomeAway, Kigo, and VRBO. The company has raised over $120 million from investors including Premji Invest, Accel Partners, Meritech Capital and MasterCard. Yapstone has offices in Walnut Creek, Santa Monica, and Ireland. The Computop Paygate platform is a server-based software that provides secure, seamless and compliant payment processing. Paygate provides a complete, single-source payment system with integrated fraud prevention that can be tailored to the needs of each individual merchant. Datasoft FxOffice is a foreign exchange and global payments software platform that offers financial institutions a completely integrated forex, treasury, compliance and payments platform. w2bill Payments is a payment processing software that manages the request of funds, tracks its defined time-to-live, handles the acceptance and rejection responses, and reconciles the information with the infrastructures systems, regardless of their roles. Elavon's robust, secure and scalable processing platform allows for efficient technology and compliance changes and provides advanced domestic, inter-regional and international credit card processing with convenient multi-currency options. Enterprise Payments Solutions from Fiserv enables financial institutions to simplify their payments infrastructure and deliver an effective payments strategy. Forte Payment Systems offers merchants a broad range of payment solutions, including credit card and debit card processing, ACH/eCheck origination, check verification and fraud prevention. Real-time payment API saving companies time & money via instant transfers. TransferWise helps money transfer with cheaper international payments, manage treasury, and allows to request money from anywhere. The most mature global remittance system that is easy to use with enterprise level compliance. MTS allows secure transactions from any device to anywhere. Hi there! Can I help you find the best Enterprise Payment solutions?